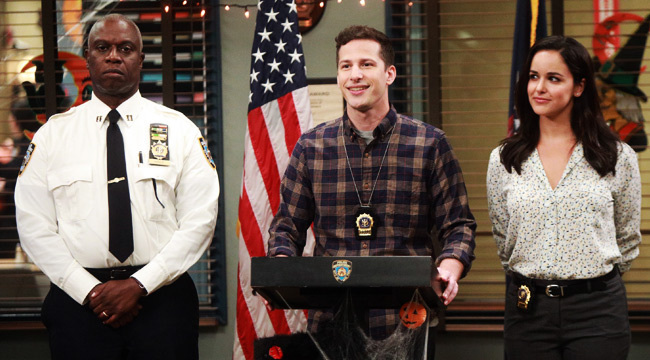 It’s the news nobody wanted to hear – Brooklyn Nine-Nine has officially been cancelled after just five seasons. 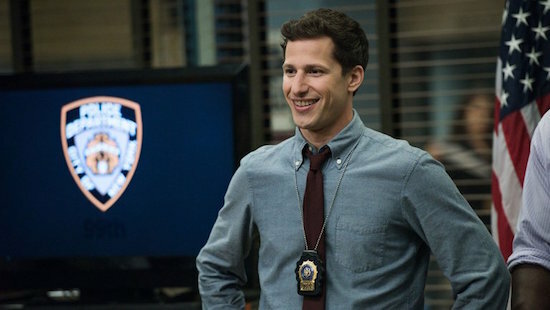 Rumours have been rife all day but now Fox have confirmed they are dropping the cult cop comedy starring Andy Samberg and Andre Braugher. While the show grew critically and received rave reviews, its ratings continuously dropped. Season four was receiving an average of 2.9 million viewers per episode, whereas season five was 2.7 million. Though Brooklyn Nine-Nine was the last remaining Fox show created by an outside studio, Universal, it was also the second-longest running live action show for the network behind New Girl. Up until the last minute, the show’s stars were all hopeful that they would get a renewal for a sixth season, however their hopes have now been shattered by the confirmation of the show’s cancellation. I’m obviously hopeful. I love making it. I think we’ve had an incredible season. I feel really proud of the episodes. I feel like we’ve had a really nice upswell culturally. There was a lot of attention around the 99th episode and we got a lot of love during the Olympics, which was really cool. And there was a lot of really beautiful attention paid to the development with Rosa [Stephanie Beatriz] coming out as bi. I certainly feel we’re in a good place, but as to whether or not we get more, that’s obviously far beyond my reach. But fingers crossed. Melissa Fumero, who stars as Amy in the show, was also hopeful of a renewal. I think we’re all super-optimistic. Everyone wants to do at least one more season. Everybody feels like we’re not done. There’s more story to tell, there’s more fun stuff to do with this incredible ensemble of characters. It was a great sign that they brought us back on Sundays, and they brought us back earlier. 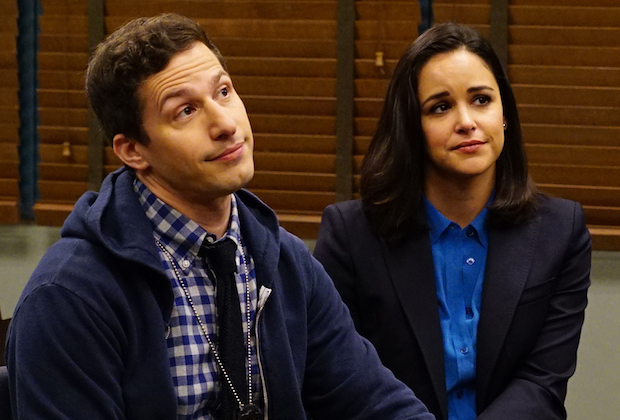 Brooklyn Nine-Nine‘s season five finale, which hasn’t even aired yet and will do so on May 20, focusses on Jake (Andy Samberg) and Amy’s (Melissa Fumero) wedding. Although not anticipated to be the show’s final episode it will now serve as it. As well as Brooklyn Nine-Nine, The Last Man on Earth and sophomore comedy The Mick were also axed this afternoon. Brooklyn Nine-Nine was created by Dan Goor and the genius behind Parks and Recreation Michael Schur, the show also stars Chelsea Peretti, Joe Lo Truglio, Terry Crews, Dirk Blocker, and Joel McKinnon Miller. One reason for the cancellation is Fox is bringing back an NFL show in the next few months, meaning there’ll be less room in their schedule. While we know the news of no more Brooklyn Nine-Nine hurts a lot, there is a good chance that the show will be bought by another network in the near future – so don’t lose hope just yet!